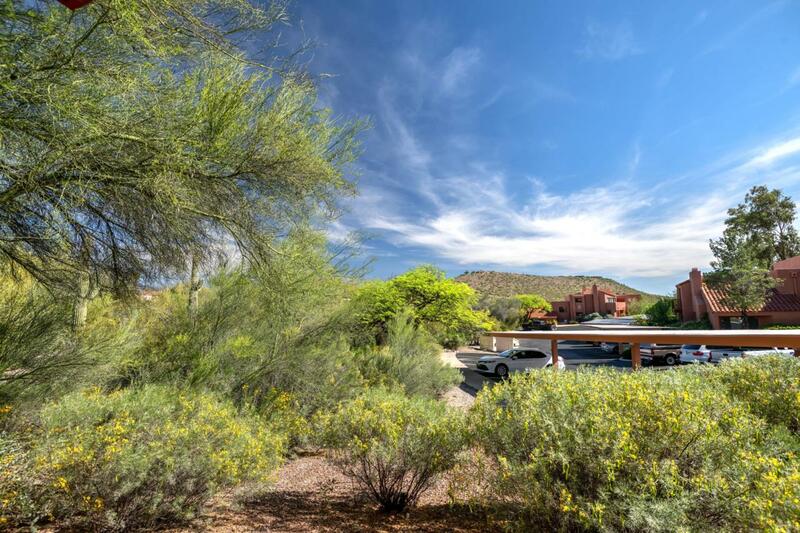 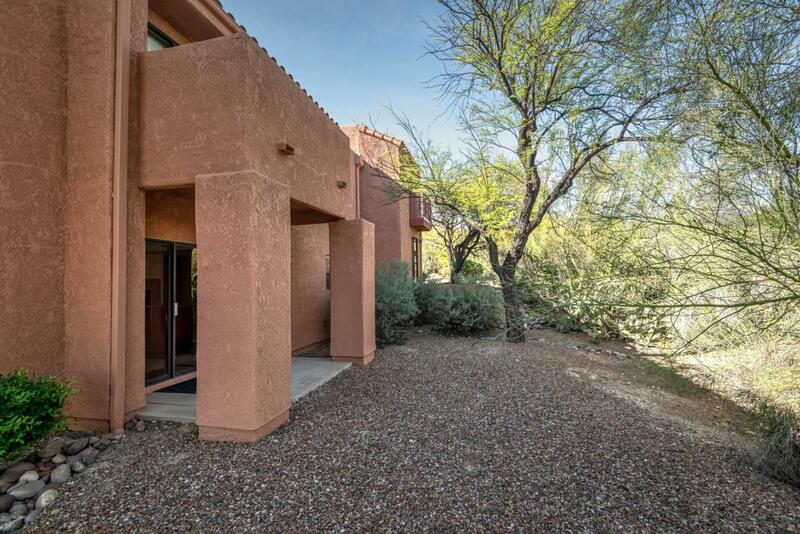 Private ground floor condo backing to natural desert landscaping in the gated Catalina Foothills community of Ventana Vista Condos. 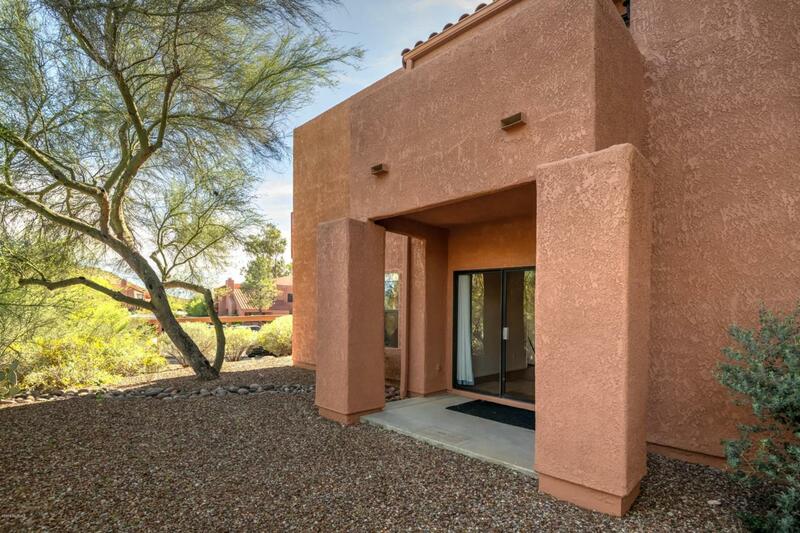 This spacious Northern Tucson condo features an open floor plan with split bedroom layout, covered East facing patio, zoned heating & cooling, Murphy bed in guest bedroom, laminate wood flooring, kitchen with corian counters, wood burning fireplace, roomy master suite with walk-in closet, dual sinks in bathroom and access to a separate patio area and a popular location just South of Sabino Canyon Park. 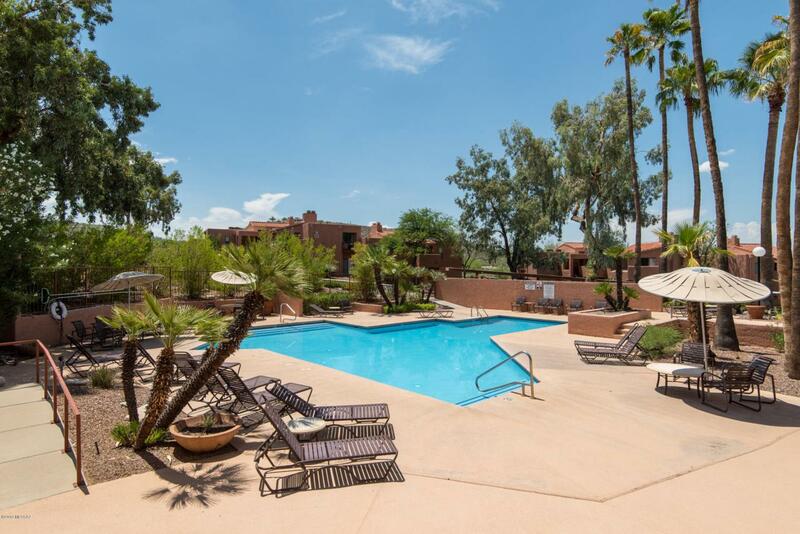 The Ventana Vista Condominiums resort style amenities include a heated pool & 2 spas, enormous clubhouse with HOA office, pool table, tv & library,, exercise facility, tennis / pickle ball court, gas bbq spread throughout community and well maintained grounds.